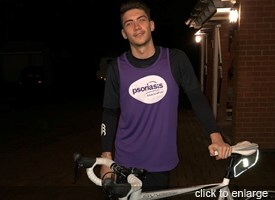 All those who generously give up their time to support the Psoriasis Association by fundraising and raising awareness play a vital role in helping us to continue with our work. 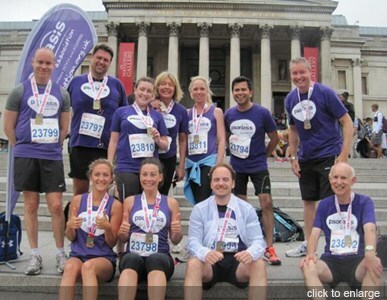 The Psoriasis Association is the leading national charity working for people with psoriasis and all donations received help to sustain our work in supporting people affected by psoriasis, raising awareness of the condition and funding research projects. We are reliant on donations to be able to continue with our work so, as you can imagine, the efforts of those who agree to raise funds on our behalf is very much appreciated. We are truly amazed by people’s efforts and different ways they support us! 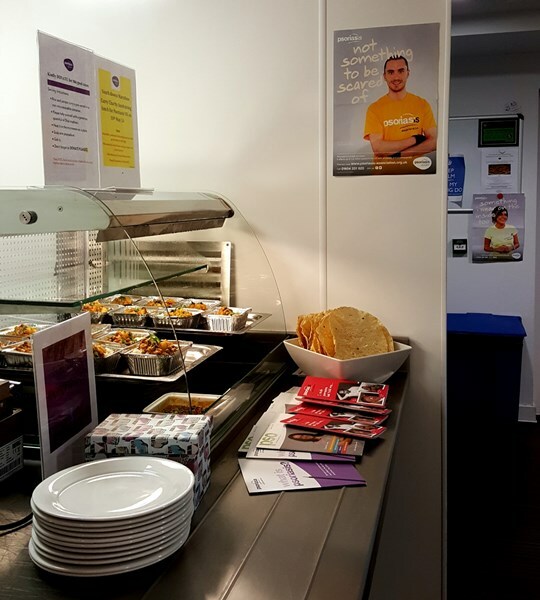 Whatever the event, we can provide you with promotional materials, sponsorship forms if required and a t-shirt or running vest. Every pound makes a difference and helps the Psoriasis Association support people with psoriasis, their families and carers. 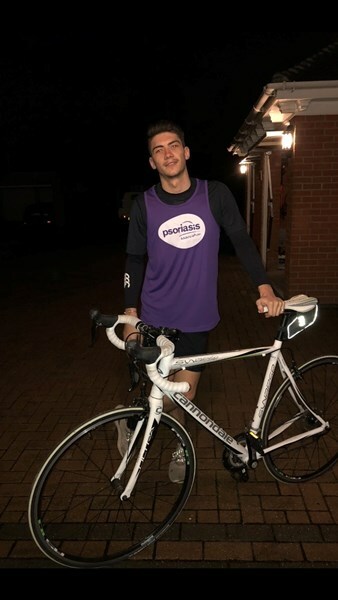 Get some inspiration by taking a look at some of the challenges our current fundraisers are taking on, as well as those that have been completed by past fundraisers. 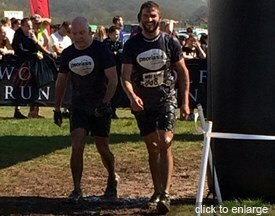 Don't forget to check out a few fundraising event ideas too! 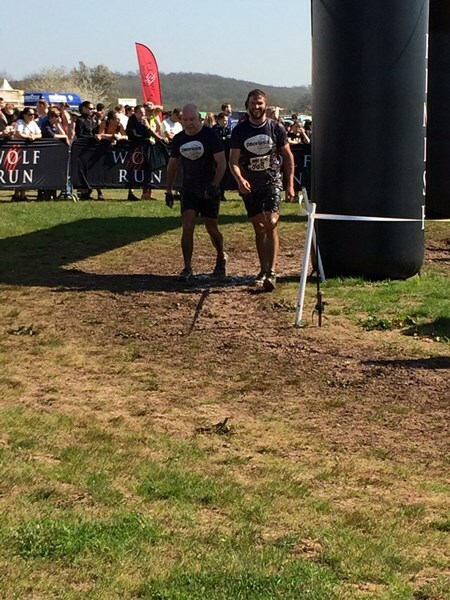 Check out what some of our current fundraisers are doing! If you’d like to show your support for their efforts, just click on the names below to visit their online fundraising pages and donate. 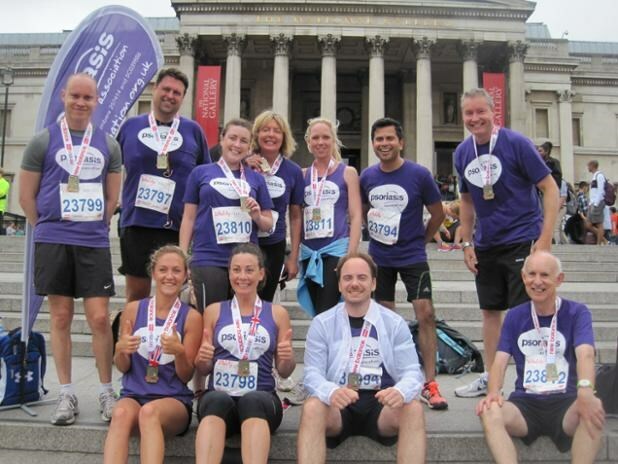 For more inspiration, have a look at the Fundraising Ideas below. Cath will be Lady Captain at her golf club this year and she's generously chosen the Psoriasis Association as her nominated charity. 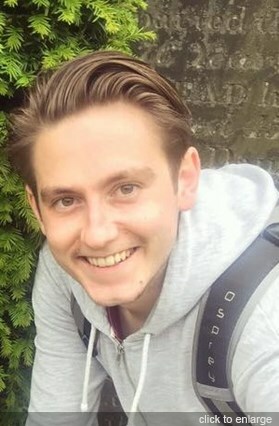 In order to support the Psoriasis Association, Tom has decided to take on the Sheffield Half Marathon on 14th April. 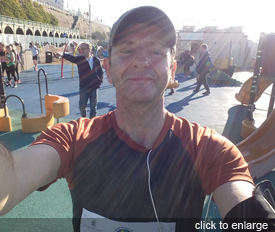 Being clear of psoriasis and able to run again, Darren has generously decided to take on the Brighton Marathon this April in support of the Psoriasis Association. He says 'I’ve had psoriasis for as long as I can remember. I love to run but for the last 10 years have found this increasingly hard because my psoriasis has been particularly active. It wasn’t the psoriasis as much as psoriasis caused inflammation of my tendons and I was constantly injuring myself. With the support of my consultant at the Brighton Dermatology Department I have been on systemic treatments for the past few years. 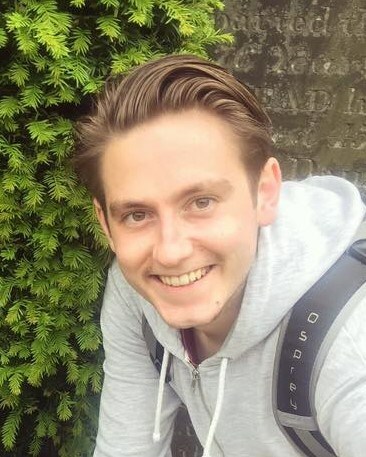 I was recently approved for Cosentyx which really has changed everything and I am clear of psoriasis for the first time ever. 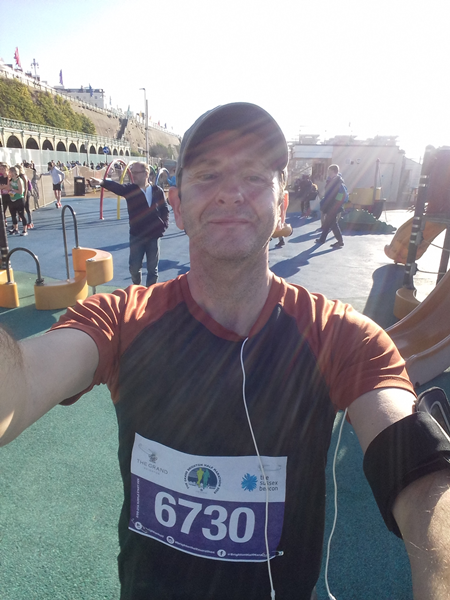 I am also able to run again and completed the Brighton Half Marathon in February this year, which is the first half marathon I have been able to enter since 2003. 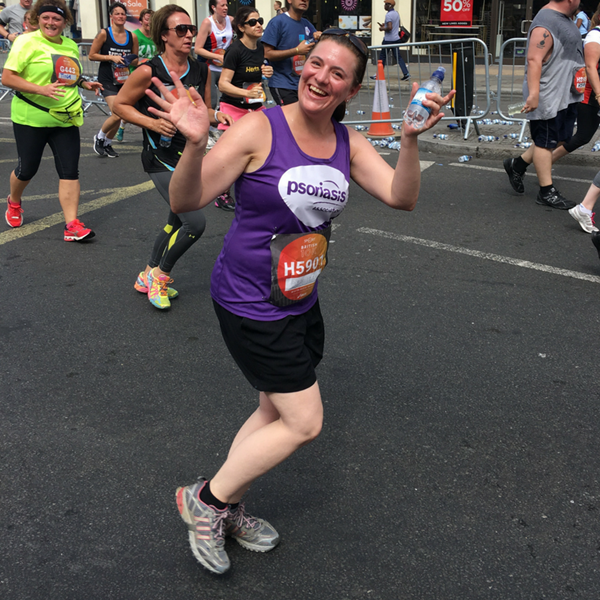 This year's London Marathon will be Rachel's eleventh marathon, but her first for nearly 10 years following having a family and developing psoriasis. She's been kind enough to run in support of the Psoriasis Association. She says 'I first developed psoriasis at the grand old age of 47, 2 years ago. It started as a rash on one arm after gardening in the sun. Then my feet developed a rash after some enthusiastic hoovering and then over a week it spread to both arms and legs. It took a while to diagnose as guttate psoriasis. I probably hit all the triggers for psoriasis – stress at work and home, a cut from a rose bush, constant sore throats for the preceding 6 months, having had a child in my 40s and with menopause looming, all my hormones being awry. What was extra galling was the fact that I have had acne since the age of 9 and this just seemed one extra thing for my skin to throw at me. Whether age related or psoriasis affected, I also have arthritis in various joints now. I tried various topical steroids but none seemed to have much effect after the initial weeks and the psoriasis spots have seemed to all merge together – although I think this is the purple patches left by the steroid treatment. The greatest result I had was UVB light therapy for 7 weeks last Summer, which wasn’t quite long enough; it cleared my arms temporarily but my legs could have done with a few extra weeks. I have recently tried Acitretin (a retinoid) for 2 months. It did have good effects on my psoriasis but lots of side effects, so have temporarily stopped using it. Bye, bye to my eyelashes, and hello to painful nails, very sore lips, itchy and cold skin, and the whole of my feet peeling off – not good when trying to run! Will try again later. So currently just on Dovonex a vitamin D ointment and the psoriasis is creeping back. I really enjoy running and being outside, and it really helps with stress, building confidence and keeping fit. After having a child, running again was one of my markers for being back to normal. Although I have struggled with getting the time to run consistently and not getting injured. I have run 10 marathons before, of which 7 were London Marathons – but my last Marathon was in 2010. 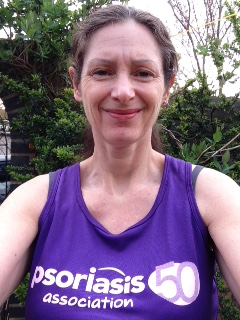 This will be my first long distance run for nearly 10 years and my first with psoriasis. 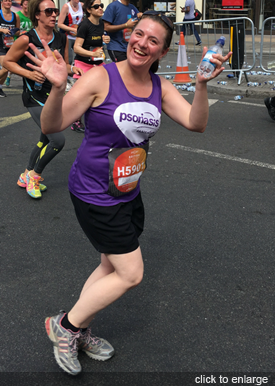 For me psoriasis has affected what I wear, particularly in Summer or when running. I am hoping I will have the confidence to get my running shorts out again and show people you can run and enjoy sports no matter what your legs or body looks like! 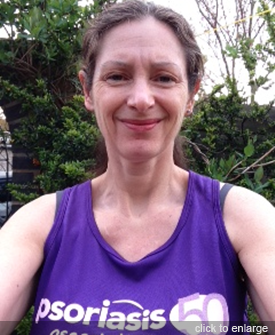 This May, Helen will be lacing up her running shoes to take part in the Great Bristol 10k in support of the Psoriasis Association. Looking for some inspiration? Why not browse the gallery below and take a look at some of the different challenges that our fundraisers have recently completed. Another idea is a cheese and wine evening or curry night. Invite your friends and family to join you. Ask everyone to bring a small sample of food if you want. What about organising a meal in with friends and ask them to either bring either a starter, main or dessert? There’s footie and rugby pizza supper with friends. Invite your mates to watch a game, order the pizza, get a few drinks in and donate a few pounds each to the Psoriasis Association. The more friends the better and the possibilities are endless! Whether it’s a birthday, an anniversary or even a wedding, why not ask friends and family to make a donation to the Psoriasis Association in lieu of gifts and cards?